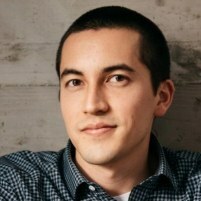 Mitchell Hashimoto is best known as the creator of Vagrant, Packer, Terraform and Consul. Mitchell is the founder of HashiCorp, a company that builds powerful and elegant DevOps tools. He is also an O’Reilly author. He is one of the top GitHub users by followers, activity, and contributions. “Automation obsessed,” Mitchell solves problems with as much computer automation as possible. Modern human history is a story of humans inventing new tools to do more with less. "Doing more" has allowed most of us to no longer worry about producing our own food, collecting water, planning long journeys, etc. Instead, we’re able to specialize, buy what we need for less, and to some extent explore ourselves a lot more. We're far from done, and of course humanity is far from perfect. In this talk, I’ll show the role that automations and computers play in building a brighter future.